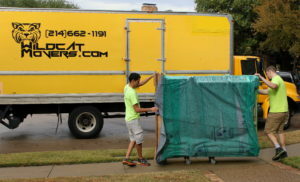 Wildcat Movers is the best house movers in Dallas. We have a great reputation because of our Fast, Friendly, and Professional service. We here at Wildcat Movers pride ourselves on developing an individual plan for every house move we do to make sure that you will have the best house moving experience possible.